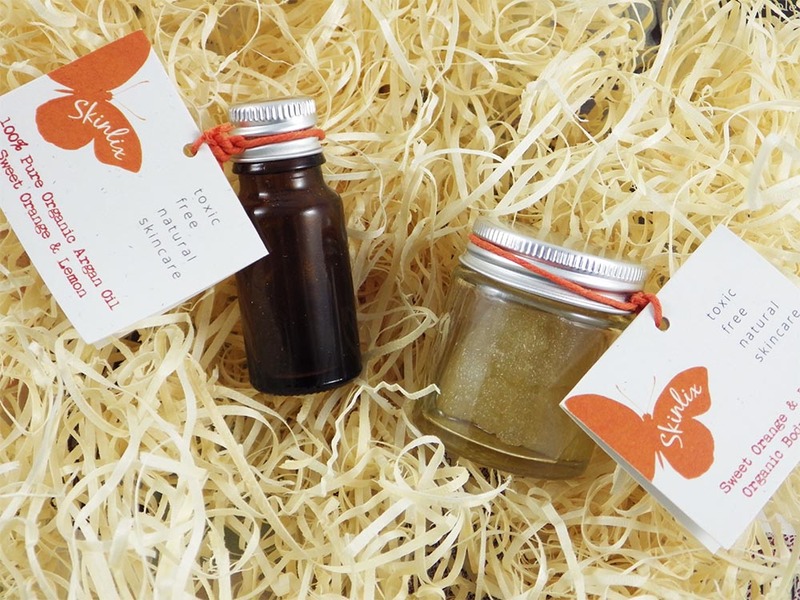 Skinlix is a newly launched organic skincare and bodycare brand, based in Lancashire. Their products are handmade and are free from preservatives, SLS, parabens, artificial colourings and any harsh chemicals. Skinlix's aim is to use as few ingredients as they can, omitting the use of water so that the ingredients are as effective as possible. The product packaging is also chosen with the environment in mind; recyclable glass jars and tags, which are attached with hemp. The tags are very cute - I love the butterfly design! I have been trying some samples of Skinlix's Sweet Orange and Lemon Body Scrub and Sweet Orange and Lemon Argan Oil. They're not quite big enough to do a full review, however certainly enough to give me a decent first impression. 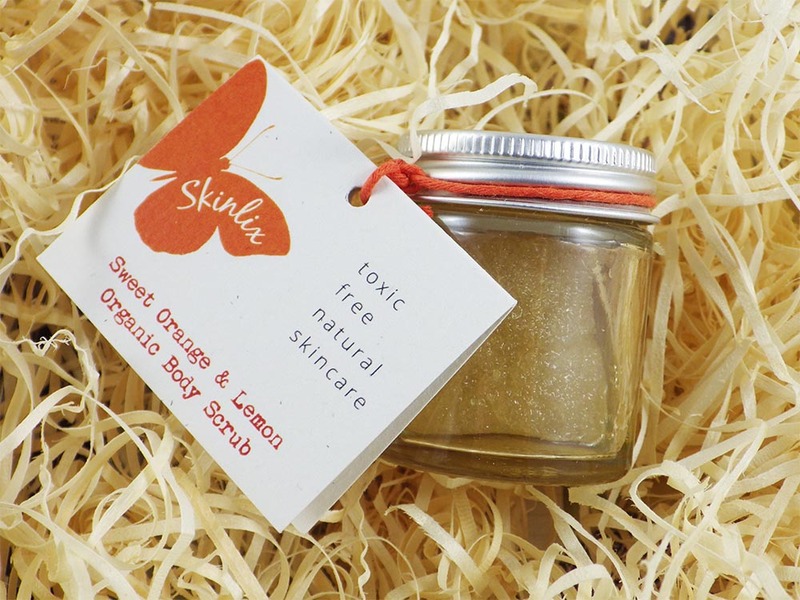 This scrub is made of raw sugar granules encased in a mixture of Argan, Sweet Orange and Lemon oils. The latter two give the scrub a sweet but delicate citrus scent. I like scrubby formulas that you can really feel on your skin and this doesn't disappoint. The essential oils stop it feeling too harsh and prevent the sugar from dissolving too quickly. I always assumed Argan Oil was just for hair, but this one can also be used on your face, body and nails. As the bottle is open topped I found it difficult to dispense the right amount for hair, because you really don't need much with this concentrated formula. (NB The full size comes with a pipette.) Instead I used it as a body oil and cuticle oil. It's quite a dry oil, so it sinks into the skin super quickly leaving no trace of residue behind; instead I was left with nourished, softened skin. I also love the fact it is has the same gorgeous scent as the scrub. I really enjoyed using these two Skinlix products and I definitely felt the benefits of using natural, concentrated formulas after initial use. The full sizes have been added to my wishlist! Plus I think they are very good value for money. 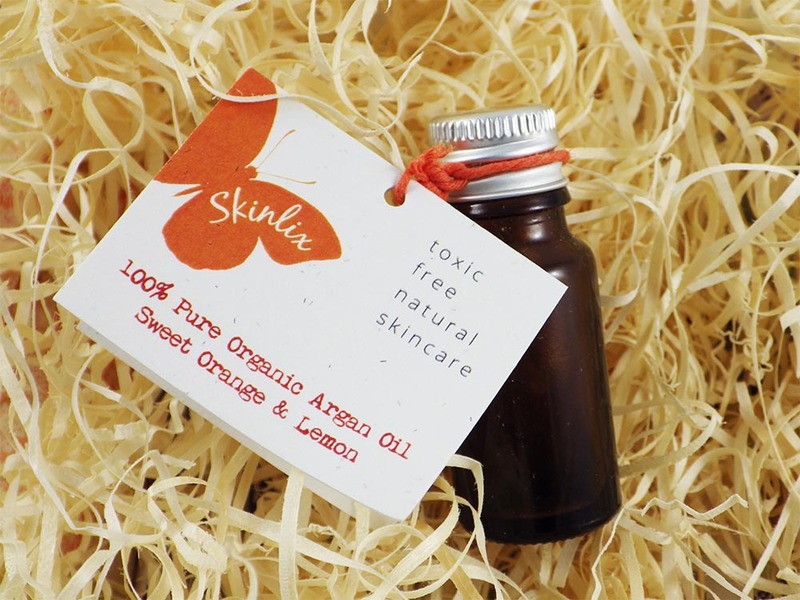 I am especially tempted to treat myself as Skinlix are currently offering 10% all their products with the code BLOG. Other products in the range include bath milks, soaps, natural sponges and soy candles, which you can view here. Have you tried any products by Skinlix? Do you love trying out new, homegrown brands? These sound amazing, lovely pics as always!